Here we go folks! After much fighting, Jacob and I are finally doing 3 comics a week. I’ve been begging him for almost 3 weeks to do it, and he thinks we are finally ready. So do I. I’m excited. It’s going to be a lot of work, but it will be well worth it. Jacob still thinks it’s a stupid idea, and will drive both of us insane. Starting today, we will be releasing comics on our normal Tuesday and Thursday, with the added bonus of our Sunday Special. Like the newspaper. 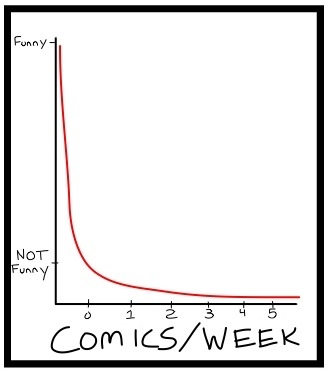 The Sunday comics are the only comics of the entire week you actually read. We toyed with what we could do special for Sunday comics. We landed on something I think everyone can appreciate. Every Sunday, we will be bringing you an installment of Joke Corner with M. Night Shyamalan. Yes, we have made a ton of Shyamalan jokes lately, but you know you’ve enjoy every single one. Now you’ll get him 4 times a month! What could be better? !